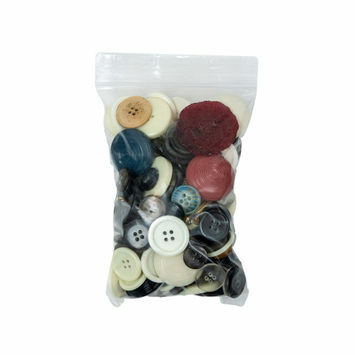 A Bag O' Buttons is just what you need to finish off any project you have. 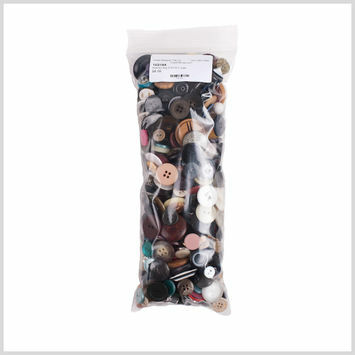 A bag o' buttons is self-explanatory, as it's simply a bag that is filled with an assortment of buttons. 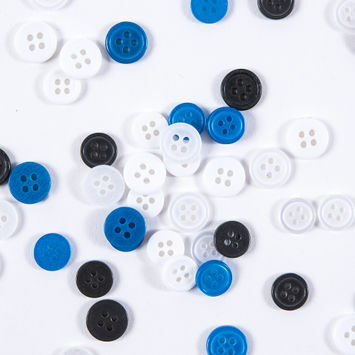 Buttons come in all shapes and sizes, and a variety of colors. It can be hard to pick just one button, which is where a good old bag o' buttons comes in! Use buttons to keep garments closed, or as a decorative trim on sleeves and along hems.